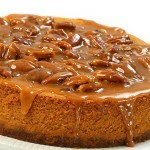 The Ferrara Classic New York style cheesecake goes decadent with this sublime seasonal creation. 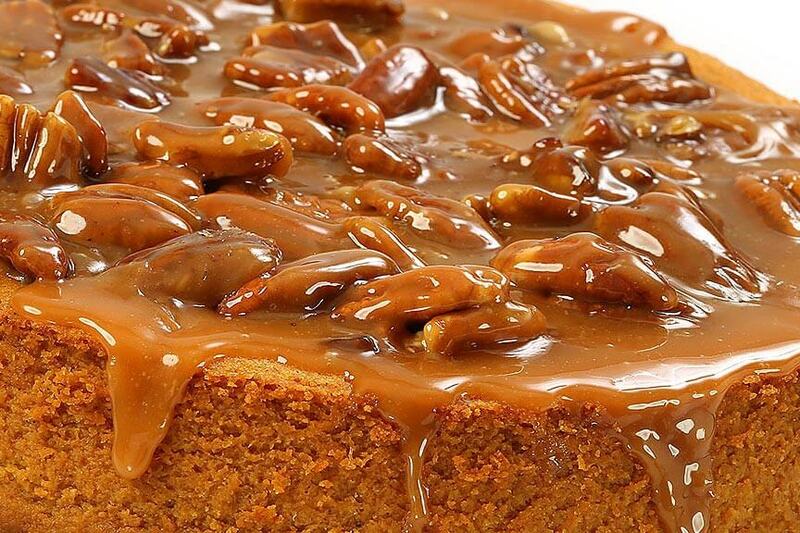 It’s a delicious pumpkin cheesecake baked in the famous Ferrara graham-cracker crust (this would have been enough), which is then topped with rich caramel and crunchy toasted pecans. 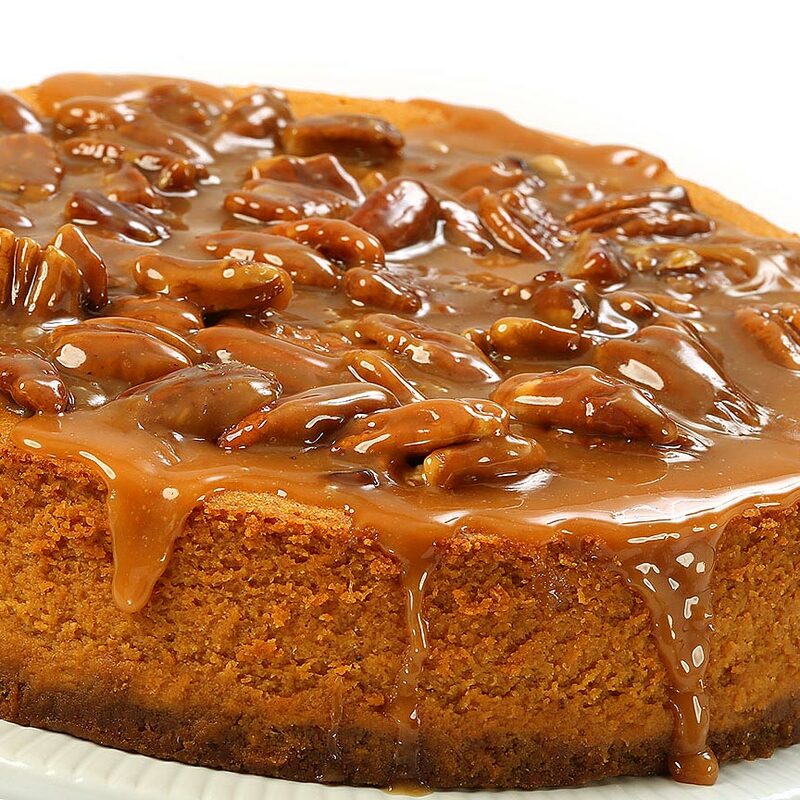 A total crowd-pleaser, this fall cheesecake will wow any and all taste buds that come in contact with it!